It’s getting to be late August. 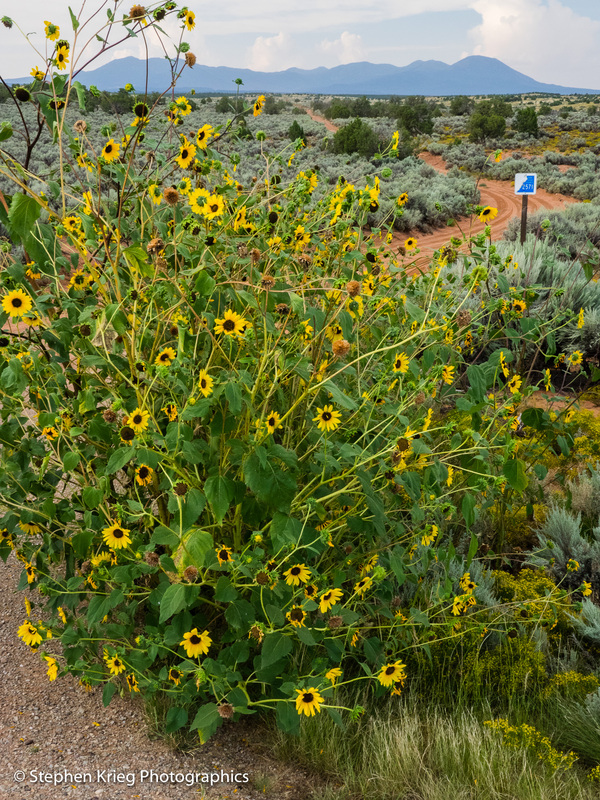 In southeast Utah, the monsoon season rains have been disappointing so far. Though in this almost record breaking wetness that was the late spring and early summer, it’s still way green around here for the high desert. So there is much left to appreciate before fall creeps in. On this particular evening, there was a thunderstorm cell moving through. So I chased it. Got underneath some fat rain drops, some small hail. Then nothing more than overcast skies. Not to worry. I was still in one of the most awesome places on Earth. Such flat evening light can have its own advantages. Like lowered contrast. Like light breezes instead of strong ones. West of Blanding I pulled over to see what I could do with some sunflowers along the road. Their bright yellow petals gave a splash of bright color even in a soft contrast scene. The distant Abajo Mountains formed a nice distant horizon. You can see why the locals also call that mountain range “the Blues”. My favorite image from this brief stop turned out to be this vertical composition. 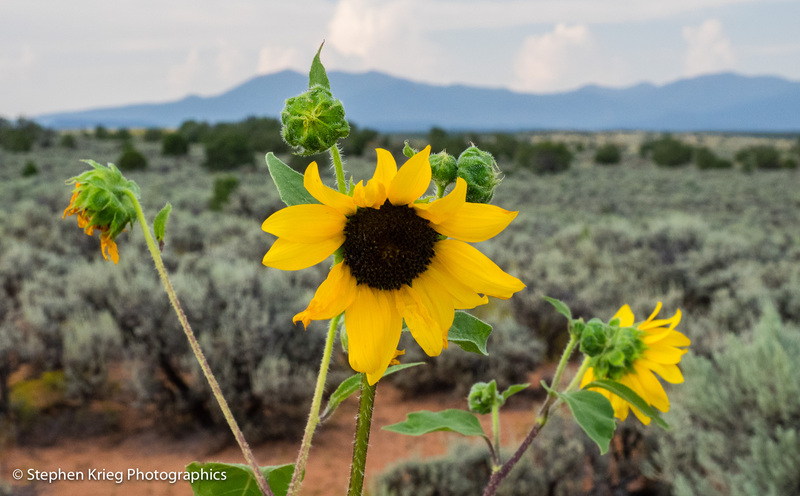 The sunflower plants dominate the foreground, the Abajo Mountains the far skyline. And somehow the red dirt county road gets in there at the upper right. You can usually count on a lonely county road to do things like that. I don’t know why. Sunflower cluster along Highway 95, west of Blanding, Utah. Photo location: San Juan County, Utah.